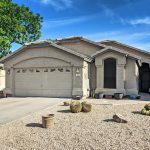 Do You Want to Buy a Home in Sun Lakes, Arizona? 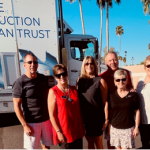 Well, as a resident of Sun Lakes, Arizona, Becky Kolb knows the area well and can give you the inside scoop. In her comprehensive guides, Becky answers your big questions. This eBook and video series provides short and simple insights packed with important information. If you are thinking about buying a home in Arizona, be sure to check out these inside secrets from local resident and experienced REALTOR®, Becky Kolb. Simply fill out the short form to the right to claim your free copy of “10 Things to Know Before Buying Sun Lakes Real Estate” and “Tips to Buy a Home in Sun Lakes, AZ from The Kolb Team.” And don’t worry. Your information will remain private! You’ll receive access to your free, eBooks via your email inbox shortly. Plus, we’ll also send you appropriate news, insights and updates so you know what is going on with the real estate in Sun Lakes, AZ.